I have a card inspired today by the photo at The Card Concept. All that gold and purple I had to join in again. The background is stamped in delicata gold and the die (NBUS from crafty friend Joyce) is popped up on foam pads. The sentiment is from The Ton-another never been used before! 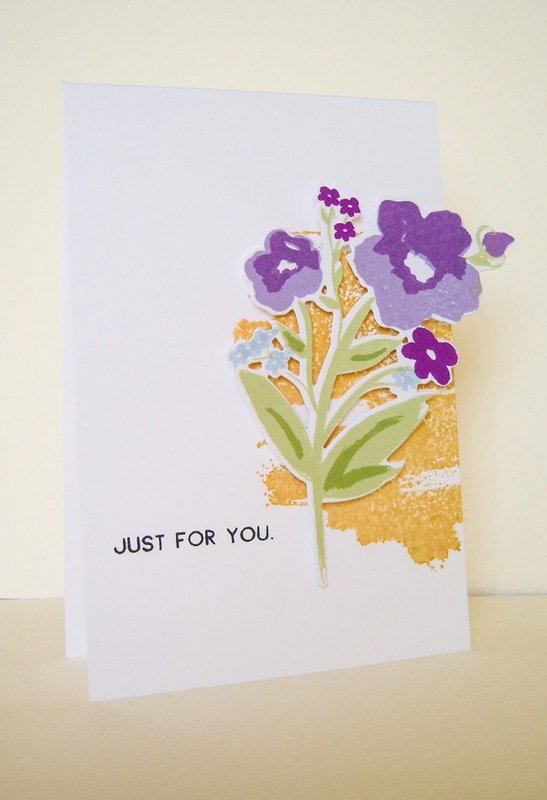 Wow, love your sweet purple flower with the wash of gold! Perfect for all of the challenges :-) Thanks for sharing with us at The Card Concept- hugs and I hope you have a great week! So very gorgeous and love the colors. Beautiful card! Love its bold simplicity. MORE than gorgeous Sandie!!!! LOOOOOVE this beauty card!!! This is gorgeous!!! Love that gold background! What a beautiful card, love it!